Advertisers looking to reach the current crop of iconoclastic teenagers should appeal to their desire to stand out from the crowd, demonstrate communitarian credentials and strive to make a transparent, real-world impact, Kate Magee writes. It is perhaps telling that the heroine of one of the most popular teenage novels of today is a sceptical, skilled, troubled survivor living in a dystopian world where children are forced to kill each other for entertainment. The world has certainly moved on since the jolly japes and ginger beer-soaked picnics of Enid Blyton. 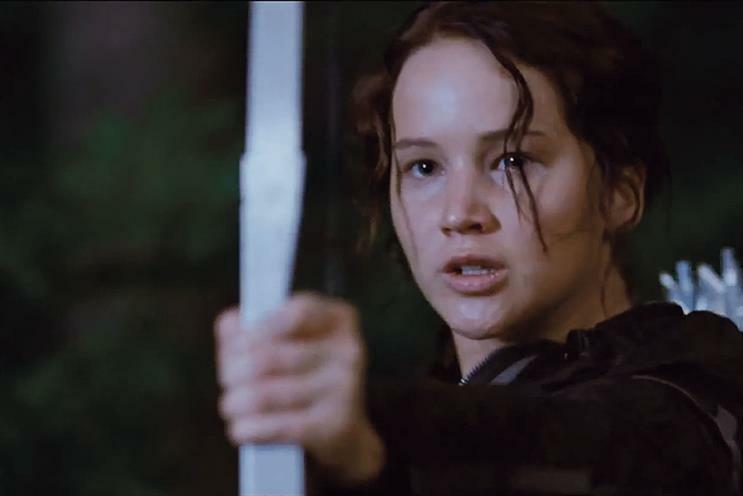 Katniss Everdeen, the protagonist in The Hunger Games, is also the figurehead of the rebellion to overthrow the established order. It is interesting, then, that the economist, author and professor Noreena Hertz, who has just conducted a research project into the attitudes of 13- to 20-year-olds, has nicknamed this group "Generation Katniss". Her research has shown their world views are starkly different from those of other generations – including their older millennial brethren. Perhaps this is no surprise given that today’s teenagers have a front-row seat to the huge changes taking place in society through their constantly connected smartphone: global recession; a constant threat of terrorism; the erosion of privacy; and the rapid – often brutal – impact of the digital revolution. But their attitudes are something to which brands and advertisers should pay attention. The shock was certainly audible at a recent McCann event, when Hertz revealed that only 6 per cent of Generation K trust big corporations to "do the right thing". Six per cent. Compare that with the attitude of adults (60 per cent) and older millennials/20- to 30-year-olds (12 per cent), and you begin to get a sense of the problem. The statistics are from Hertz’s own study, which used specially developed research tools and comprised a survey of 2,000 teenagers, face-to-face interviews and insights from her work with companies. Of course, the research has its limits – Hertz only spoke to teenagers in the US and the UK. While the response patterns are consistent in Europe, the findings may not apply to teenagers living outside the West who have been shaped by a different economic, political and cultural environment. It could also be argued that a 13-year-old’s opinions merely reflect their naïvety or the idealism of youth, but Hertz argues that generational values and traits do tend to endure: "Research shows that the values that people have at the age of 18 are pretty much the values they have 40 years later." The Generation K demographic is already a lucrative market for brands – currently worth €100 billion in Europe, the Middle East and Africa. But perhaps its most useful function is to act as a window on the future. May the odds be ever in your favour because, if the attitudes of this group persist, the consumer of tomorrow will be very different to the consumer of today. Campaign caught up with Hertz to discuss her research. What are Generation K’s defining characteristics? They are much more anxious than previous generations. This isn’t just typical teenage anxieties such as girlfriends, boyfriends and schoolwork. They are really very worried about existential threats and their own futures. They are also very distrustful of traditional institutions. Even though they are thought of as selfish and the selfie generation, they are not selfish. They volunteer more, they give more money to charity and they are more socially engaged than older millennials. And they don’t want to be passive victims of the future that we have bequeathed to them; they actively want to be agents of change themselves. They also fiercely cherish their own independent identities. I asked them to come up with one word to describe themselves, and "unique" was the word they most often chose. That’s ironic. It is surprising that young teenagers, who presumably have little experience of companies, feel so negatively towards them. Is this because they have seen the recession adversely impact their parents? Some of it is that, yes. They might have first-hand experience of a family member losing a job and being cast to the mercy of the market in these difficult economic times. There is also a big issue for this generation around data and data privacy. The companies that consistently come up as the least trusted by them are ones where data privacy is clearly an issue. It’s not that this generation won’t give up data, but there is an exchange to be made. They want the value proposition to be made explicit and they want the ability to opt out without impunity. How does this anxiety manifest itself in their behaviour? Are they more risk averse or deferential? Their fear is one of the drivers for their more communitarian sensibilities. They place more value on family and physical friendships – exponentially more than simply online friends. So anxiety on the one hand makes them more parochial but, on the other, makes them want to effect change themselves. So I think it’s working in two ways. This generation is constantly connected through their smartphones. As well as driving their anxiety, what impact is this ‘always on’ culture and information overload having on them? One thing I find fascinating is how much they are craving physical, face-to-face, non-digital experiences. It’s perhaps an unexpected reaction to being permanently "on" – a desire to do things that involve being "off". They are a generation of makers. They are sewing, coding; they want to co-create and produce themselves. They also really care about privacy. The first-era millennials got very excited by all the opportunities of the internet and social media and didn’t really think about the consequences. They were the ones who were sharing naked photos of themselves on Facebook. Generation K has learned from these mistakes and are much savvier consumers of the internet. What impact will this generation have on society in the future? These core values – caring about issues such as inequality, being communitarian, distrust of traditional institutions – are potentially going to define them. I think some of their behavioural traits are also likely to endure – shorter attention spans, the fact they think and express themselves much more visually and some of their patterns of consumption. For example, I’m on the board of Warner Music and there is such a striking difference between the way Generation K and the older generations consume music. This is a generation that has no memory of buying music – they have only ever leased it. How can brands connect with them? I think because they feel they are growing up in a time of hardship and difficulty, they have to look out for each other. The corporations that consumers think are on the same side as them will win their favour. They will connect to companies that embody their values and care about their concerns, but this has to be authentic. Brands should appeal to this generation’s desire to co-create – either in campaigns or through product design. If you do that, you can get valuable insights and appeal to their need to be unique. You have to adapt your research tools to fit this generation if you’re going to get smart insights. What tone should communications campaigns take towards them? This is a generation that wants to be part of the conversation. It doesn’t want to be spoken at. It wants to be engaged with on equal terms. You need to be honest, transparent and tell them your plan. A mistake many companies make is that they feel they have to be perfect before they shine the spotlight on themselves. It’s important to understand that this generation doesn’t demand perfection – they demand openness. Campaigns with a social or environmental activist focus can resonate with them as long as they are really authentic. If not, then generation sceptical is likely to out you. • Born between 1995 and 2002 Aged 13 and 20. • Anxiety Worries include both existential concerns – terrorism (70 per cent), climate change (64 per cent); and the personal – getting a job (79 per cent) and getting into debt (72 per cent). • Distrust of traditional institutions Only 6 per cent trust big corporations to "do the right thing". • Communitarian They are more socially engaged than older millennials. They volunteer more, campaign more and give more to charity. • Creative They want to make and create things, and effect change. • Privacy-conscious They are more critical consumers of the internet – 79 per cent restrict social media settings, 70 per cent give fake e-mail addresses and information when asked to sign up to things online. They are migrating from open platforms to private places where they feel safer such as WhatsApp and Snapchat. • Physical, not digital They value physical experiences and friendships over virtual ones. • Fiercely individual They celebrate difference and want to be unique. • Short attention spans A product of the constant distraction of the online world. • Pictures not words They think and express themselves more visually.